Following the unprecedented interest and response to my earlier post ‘Footprints in the sands of time’, I feel obliged to share some insights on the rough road travelled, and the bumpy ride still ahead. Success is more of a journey than a destination. A journey characterised by a constant struggle between challenges and the triumph of will power; we should be left under no illusion that there is a smooth path or a short cut to success; that is the myth. The reality is that life does throw us lemons. It is what we do with them that really matters. The first major disappointment I remember, perhaps after my doomed childhood crush on my English teacher, was receiving a ‘Regrets Letter’ from Arthur Andersen, the leading Audit and Consultancy firm, after several levels of tests and interviews. 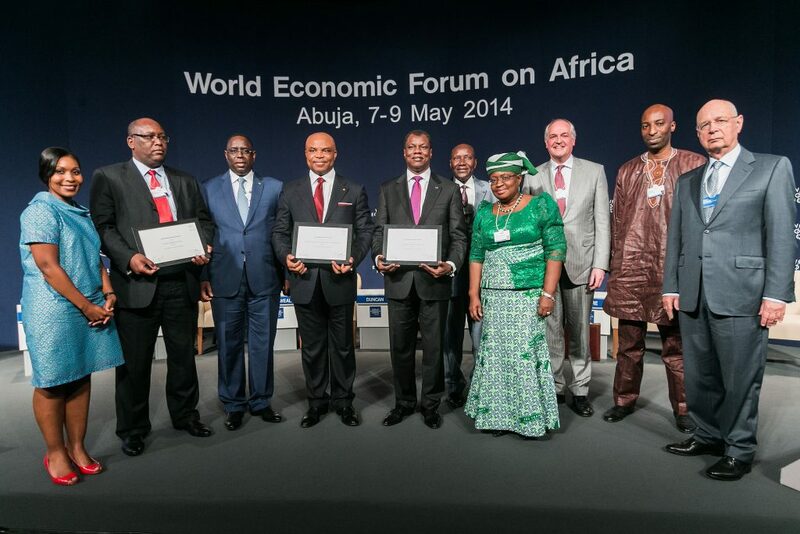 Award Winners at the World Economic Forum on Africa in Abuja, Nigeria 2014. There have been many varying disappointments in the course of my personal and professional life, but none more profound as that ‘first cut’ and the effect it had on me. This early experience taught me that those called to greatness in life are first subjected to the crucible of preparation. Through seeming disappointments, they chart a new course for others to follow. The lane of the trodden path gives way to the zone of passion, from where they blossom into their calling. Many people tend to prematurely give up and throw up their hands in exasperation when life throws them lemons, forgetting that they can rather make lemonade. I believe that challenges and opportunities are two sides of the same coin. There is a reason why the Chinese use the same word to describe both. It is my hope that sharing some of my experiences of the lemonades I made with my lemons, will encourage the weary who are struggling with a higher calling, to endure the crucible of preparation and strive to reach their aspiration. As the saying goes, iron sharpens iron and pure gold is a product of a fiery fire. I finished my secondary school education at the St. Augustine’s College in Cape Coast, Ghana, with flying colours in my GCE Olevels exams. I went on to do the further GCE A levels in the same Institution in anticipation of a good University placement. Unfortunately, I did very poorly due to a lack of focus and misplaced overconfidence. The result of this misadventure was my not gaining a place to read any of my choice of courses at the University. 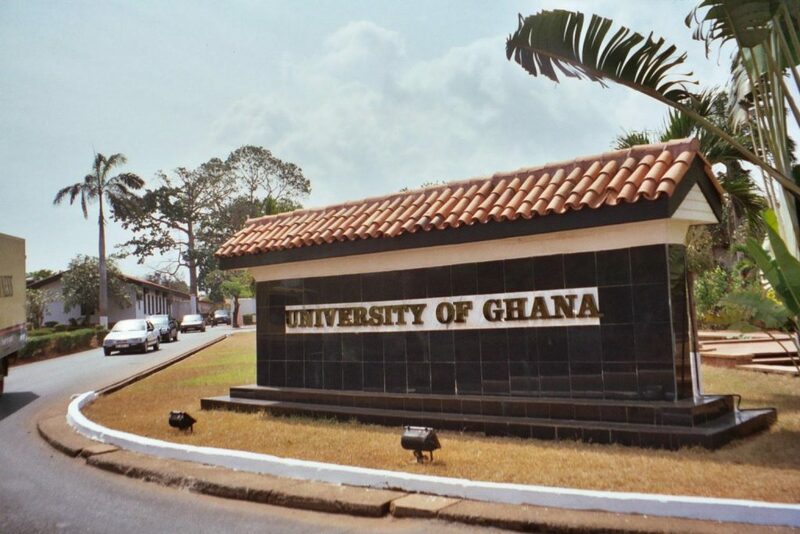 Instead of the widely popular Engineering and Science choices, I ended up in a relatively new course of study called ‘Computer Sciences’ at the University of Ghana. I found myself in the same class with students who were two years my Junior, because they did not have to go through the additional two years of A levels to gain admission into this particular course. This was quite understandable, because in 1982 nobody in Ghana, my birth country, knew very much about Computer Sciences, nor cared much for it. The choices for me then were quite grim, it was either this course, or one more year at home to try again for a better course of study. I swallowed my pride and poured my energies into this new endeavour. Fortunately, I took to it like fish to water. It was a Eureka moment for me. I had discovered my passion! With this ‘lemon of disappointment’, I went on to make a lemonade of a career in this new field, that culminated in the founding of CWG Plc 10 years later. CWG became the largest security in the IT sector of the Nigerian Stock Exchange when she listed her shares and went public in 2013. She was subsequently recognised as a Global Growth Company by the World Economic Forum in 2014, signalling an expectation of achieving the $1b turnover mark in the not too distant future. 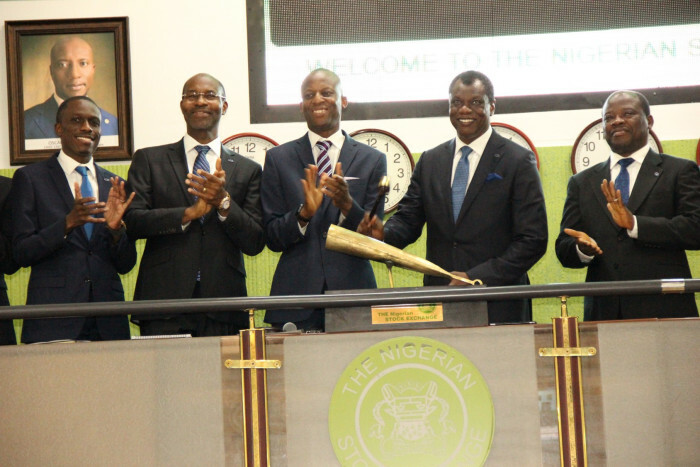 L – R: Mr. Kunle Ayodeji, Executive Director, Finance & Operations, Computer Warehouse Group (CWG Plc); Mr. Phillip Obioha, Chief Operating Officer, CWG Plc; Mr. Ade Bajomo, Executive Director, Market Operations and Technology, NSE; Mr. Austin Okere, Chief Executive Officer, CWG Plc; and Mr. James Agada, Chief Technology Officer, CWG Plc at the Closing Gong Ceremony at the Nigerian Stock Exchange (NSE). CWG had a series of rosy years between 2004 and 2007, when the company grew at an impressive rate of 75% year on year, with dominance in the Banking and Telecom sectors. We could do no wrong, and our bottom line seemed to defy gravity. Things suddenly came to a screeching halt in 2008, with the global financial crises resulting from the sale of subprime loans in America. While these lemons were not of our making, they surely took their toll. Things were not helped by the local macroeconomic environment, which was characterised by skyrocketing interest rates and exchange rate volatility. These two factors contributed in no small measure to the near insolvency of the company. Our lower-interest dollar loans which we had managed to secure from offshore banks to finance our thriving Automatic Teller Machine (ATM) business had been recalled due to the turmoil in the global financial markets, and had to be refinanced by much higher-interest local loans at an excruciatingly high exchange rate. Not to mention that the Purchase Orders against which we brought in container loads of ATMs were suddenly cancelled on account of force majeure. The reason being that absurdly, the Central Bank had suddenly started forbidding banks from mounting ATMs in public places other than their branch premises. 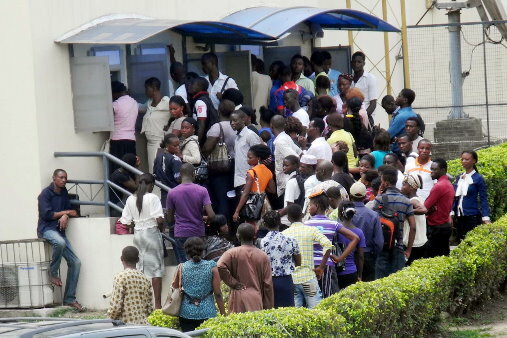 The ATM business was then contributing $35m to our annual revenue with very good margins; this was suddenly wiped off. We found ourselves in a precarious situation, where we had a warehouse load of ATMs with no takers, and a huge stock of debt to service at a high interest rate. The company was facing a serious liquidity crises and was heading steadily towards bankruptcy. Putting on our thinking caps, we came up with the lemonade of starting an ATM-as-a-Service business model. This was an instant hit, and a win-win strategy for both us and our customers; we had ATMs sitting idle in our warehouse, and they did not have headroom for additional capital expenditure. What we discovered was that this ‘accidental’ business model, guaranteed more predictable revenue and profitability over the long run than just selling the machines. It also attracted the interest of a Private Equity Firm, whose investment in our company in 2009 came in handy in retooling our company as a subscription based business on the back of cloud computing. It also helped in paying off our huge debt and eliminating the killing finance costs. By 2010, we had built a huge business in our telecommunications subsidiary, providing Wide Area Network (WAN) infrastructure for our financial sector customers based on very small aperture terminals (VSATs), contributing a bottom-line margin of about $3m per annum. The party was good while it lasted, but the wheels were beginning to come off, as undersea fibre cables landed at our shores, bringing with them relatively much faster and cheaper fibre infrastructure and promoted by very deep-pocket GSM Operators. They quickly took out everybody in their sights and left us with a loss of about $1m in 2011, which doubled the next year. As the inevitable stared us in the face, we took a quick decision to proactively cannibalise our WAN business by selling our customers to the Operator. 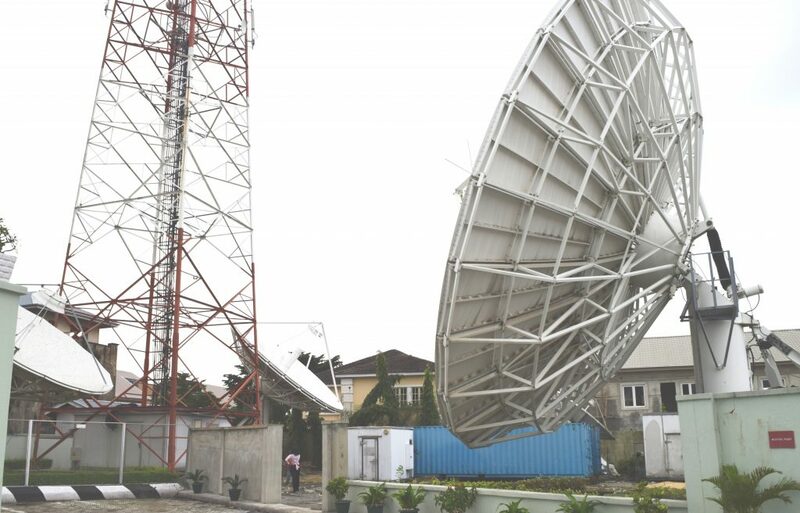 We then made lemonade with our lemons by repurposing our facility and infrastructure for digital TV broadcasting in partnership with SES Astra as Nigeria raced to meet the July, 2015 deadline for Digital Switch Over. Today we have a potential of rolling our digital signals to over 27million erstwhile analogue households. My story and that of CWG caught the attention of leading Business Schools including Columbia Business School (CBS) and the Massachusetts Institute of Technology (MIT), both of which have written case studies about the company. You can check them out by clicking on them. Perhaps the most compelling story is that of WhatsApp founder Brain Acton, who got rejected by Both Twitter and Facebook before the $19 Billion buyout of his company by Facebook. It is his reaction to disappointment that make him stand out. Here is his sad but optimistic tweet when he got rejected by Twitter in May 2009 “Got denied by Twitter HQ. That’s ok. Would have been a long commute”. And his tweet after being rejected by Facebook “Facebook turned me down. It was a great opportunity to connect with some fantastic people. Looking forward to life’s next adventure”. What positive attitude to life! In your journey of life, I do hope that these life stories will inspire you to go the extra mile whenever seeming disappointments threaten to throw you off course. 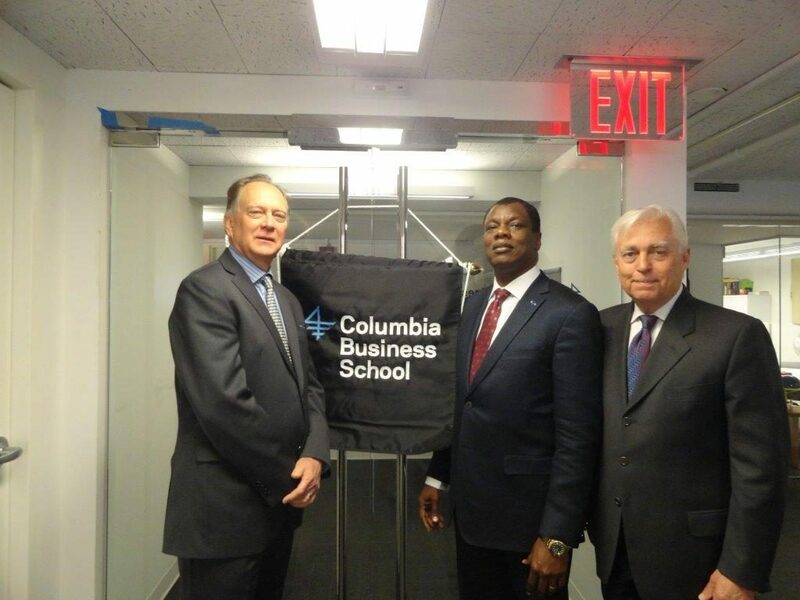 is the Founder of CWG Plc & Entrepreneur in Residence at Columbia Business School, New York. Austin also serves on the World Economic Forum Global Agenda Council on Innovation and Intrapreneurship and on the Advisory Board of the Global Business School Network (GBSN).